Issued by the Royal Mint 2002 to commemorate the Golden Jubilee of HM Queen Elizabeth II. 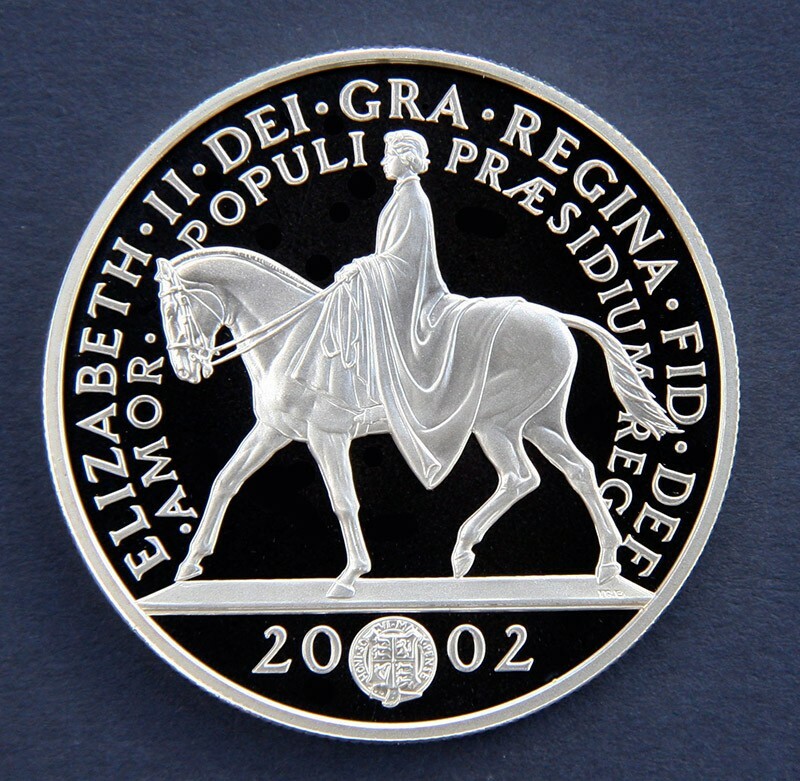 The obverse equestrian design was based on a maquette for life size sculpture of Her Majesty. The reverse is the standard effigy, by the Artist as well, used on all UK and Commonwaelth coinage since 1998 .